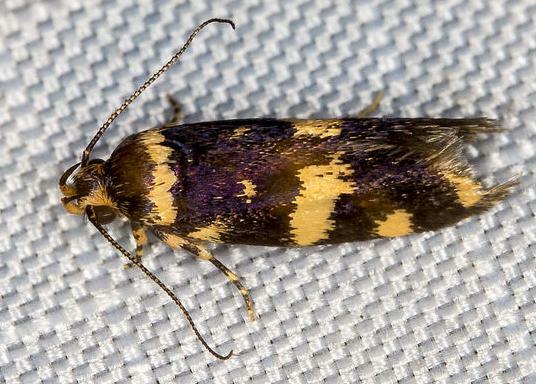 The adult moth has black forewings with yellow patches. The hindwings are brown, fading to white at the bases. The wingspan is about 1.5 cms. CSIRO Publishing, 2000, pp. 231-236.